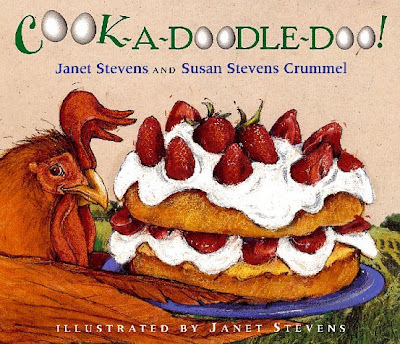 Book Adventures: Yummy Monday: Cook-A-Doodle-Doo! Big Brown Rooster is sick of chicken feed. So along with his friends—Turtle, Iguana, and Potbellied Pig—he sets out to make the most magnificent strawberry shortcake in the whole wide world. But there’s one problem: none of his friends knows how to cook! The team bravely forges ahead, and with Rooster’s help, they learn how to measure flour (not with a ruler) and how to beat an egg (not with a baseball bat). But can they keep Pig from gobbling up all the ingredients? 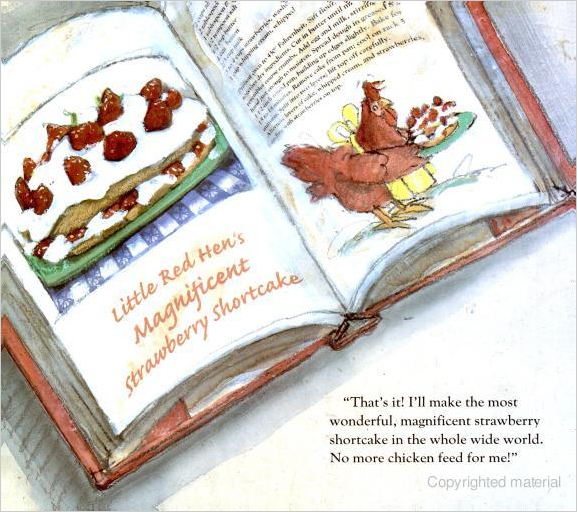 Take an old family recipe, add four funny friends, and mix in some hilarious cooking confusion and you have a picture book treat for children of all ages! 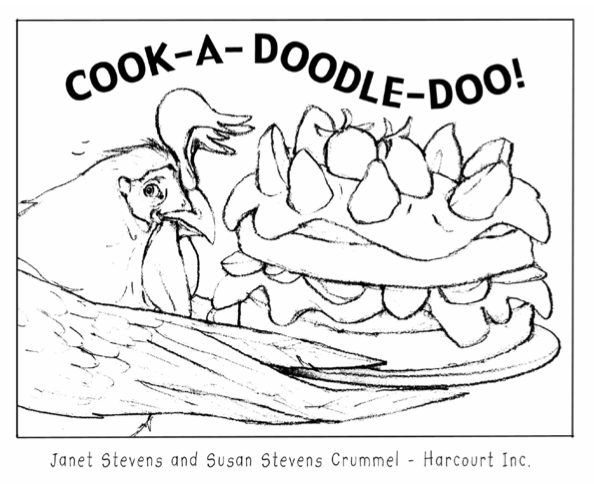 Click here for a PREVIEW of Cook-A-Doodle-Doo! 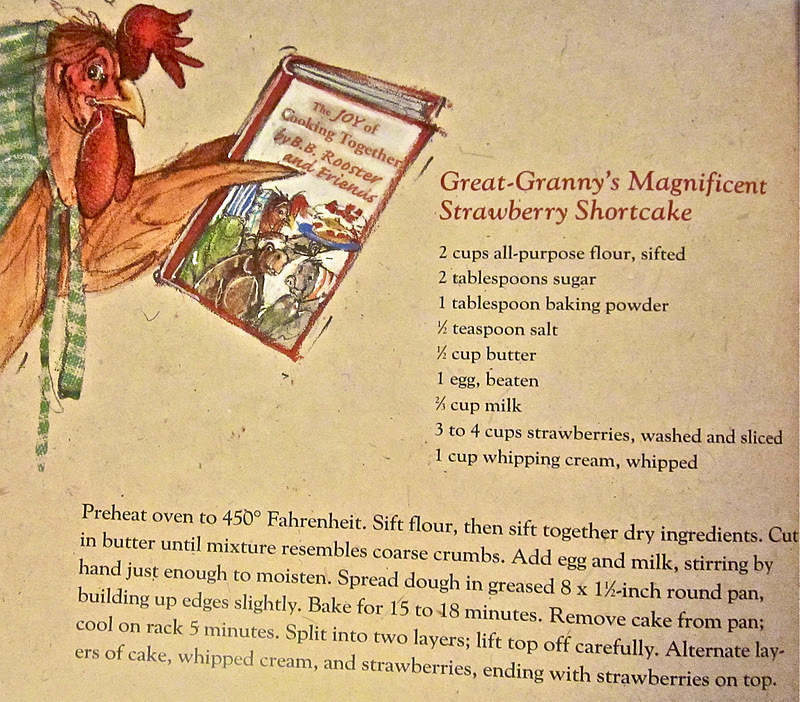 * A post about Megan @ Plumpudding's experience with this book, including photos of the cake she made! * Want to act out the book? Here's a Reader's Theater .doc file!